A large crescent of sand that curves round into neighbouring Kawkwang Beach, Klong Dao is the easiest beach to get to on Ko Lanta. That’s because it’s only a 5 to 10 minute drive from Saladan Village, the main port of entry onto Ko Lanta. 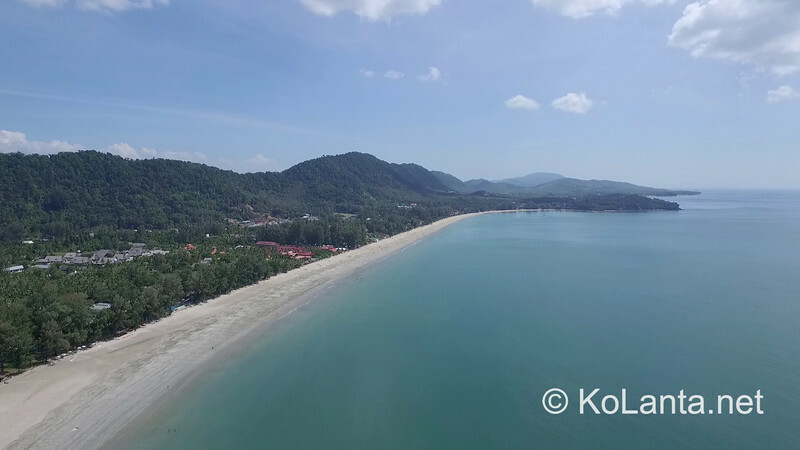 As such, Klong Dao is quite developed, although the beach remains untouched: all the hotels and restaurants are built where the jungle and beach meet. All the buildings are surrounded by graceful palm trees and the beach is largely free of deckchairs and other clutter. Most of the hotels are located in Klong Dao’s central area with the south more spread out. Southern Klong Dao is home to one of Ko Lanta’s most famous attractions – the Time For Lime restaurant and cooking school, whose profits fund a dog sanctuary. There are plenty of places to eat on Klong Dao – here’s our recommendations of some of the best restaurants and cafes, with links to TripAdvisor.com to read customer reviews of each place. The Table – pre-bookings only! Where Is Klong Dao Beach Located On Ko Lanta? Klong Dao beach is the nearest to the port of entry, Saladan Village. As such, it’s the most convenient beach on Ko Lanta to visit, and therefore the busiest too. 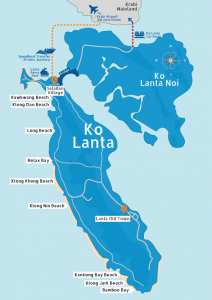 View the full size version of our Ko Lanta map with more information about each of Ko Lanta’s beaches and towns.